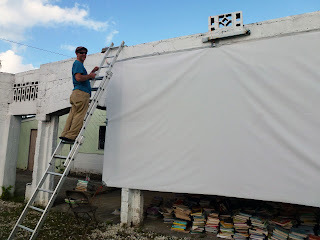 Over the past year or so this blog has documented the career of Paul Janman's movie Tongan Ark, from its first, experimental showing at the Auckland office of the New Zealand Film Archive through its screening in my lounge before a garrulous audience of palangi writers to its official premiere in front of a full house at the Auckland International Film Festival. Late last month Paul Janman took the Ark home, to the campus of 'Atenisi Institute on the scruffy western fringes of Nuku'alofa. 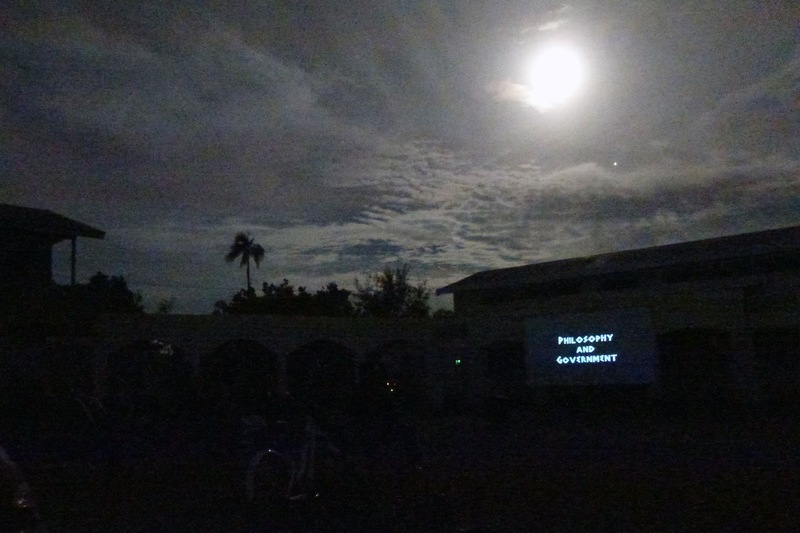 Paul's movie tells the story of the triumphs and travails of 'Atenisi and its visionary, disputatious founder Futa Helu, and many of the school's old boys and girls turned up to screenings in Niu Sila. 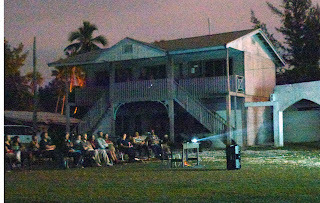 For the 'Atenisians who remain in Tonga, though, the film had only existed as a series of reviews and a couple of clips on Vimeo. Paul had intended to take Ark on a tour of several of Tonga's many islands in November, but logistical problems, including the apparent absence of a single movie screen in the Kingdom, forced him to postpone that venture. 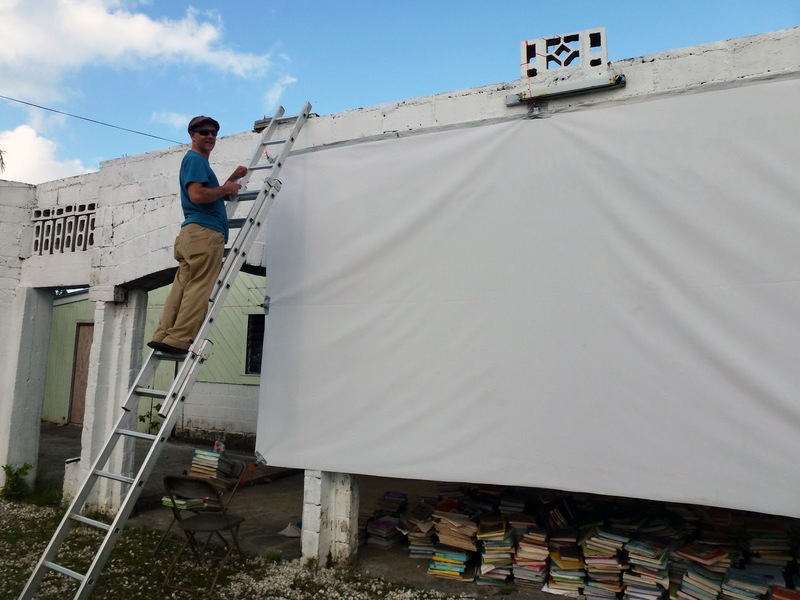 Determined to show his film at least in Tonga's capital city, Paul packed a movie projector and an old rolled-up advertising hoarding in his luggage, flew north, and, with the help of some students, hung his improvised screen off one of 'Atenisi's larger buildings. 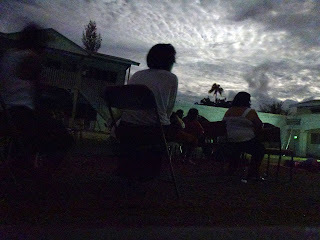 For five nights in a row, Tongan Ark played under the stars on the 'Atenisi campus. 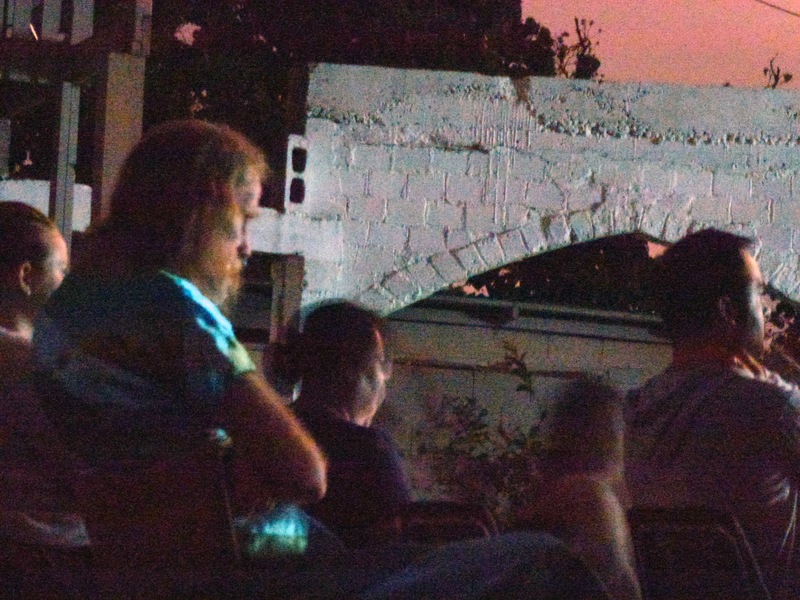 Audiences unfolded deckchairs, or sprawled on the grass, or sat in their cars. 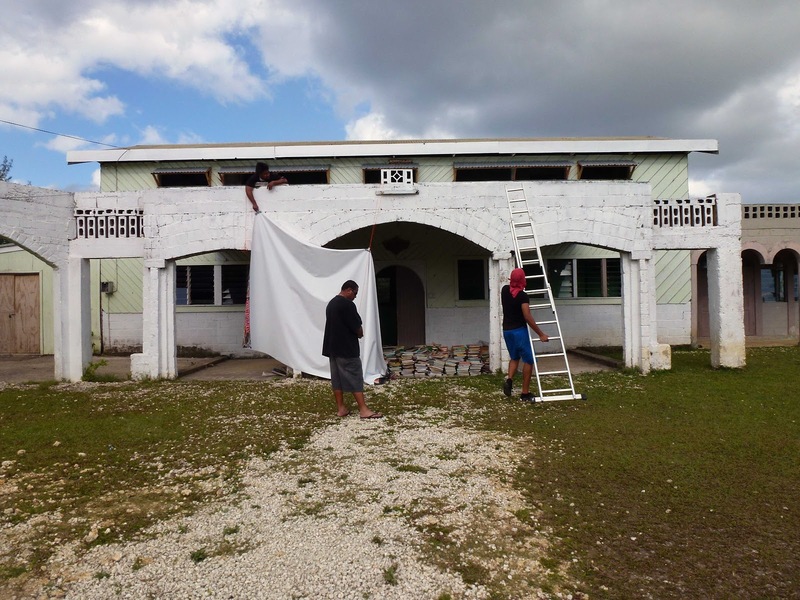 One night Paul noticed a shiny vehicle with the number plate PM2, and observed Lord Tu'ivakano, Tonga's leader since the stolen election of 2010, sitting inside with a cigarette hanging from his mouth. Here is a selection of images from the screening. There is one which shows me talking on screen because I showed a clip of the Auckland premiere performance and Q and A. Part way through someone turned on the lights behind and we could see the monster truck billboard on the back of the screen. There is another one which is quite extraordinary where some trees pop up over the arched walls behind the viewing audience - it almost looks like an island in a turquoise sea. 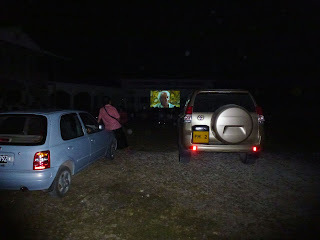 Notice also the Prime Minister's gold Toyota Highlander in another shot. Early next year Tongan Ark will island-hop from Tongatapu to Tahiti, and compete in the Pacific International Film Festival. what did kik velt think of the film? Malo Scott! Kik is a man of few words and neither praise nor smiles come easily (pictured above with long hair) but he smiled broadly when I chatted to him the day after he saw it. He liked it and said that it was better than he had expected. Another important character to see it was 'Ofa Vatikani who appears in arab dress in the film. 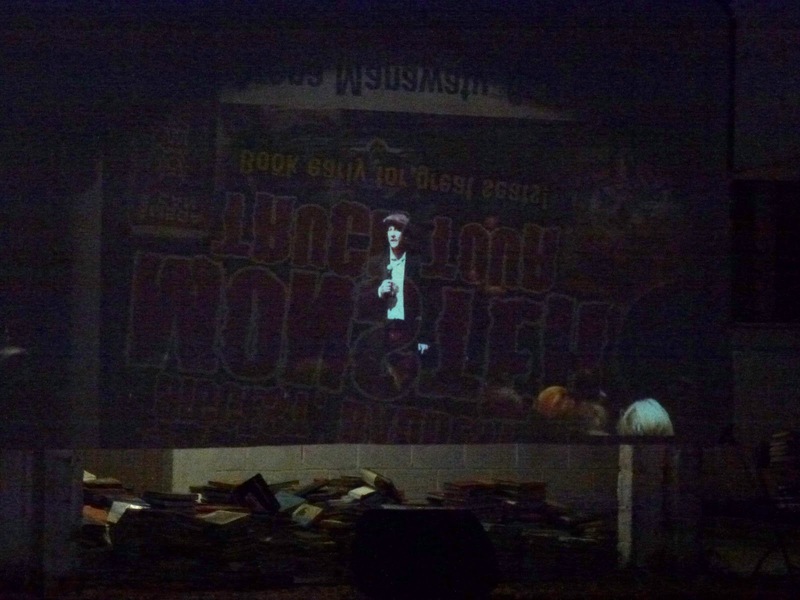 At the time he was a student radical and a bit all over the place. He is now editor of the democracy paper 'Kele'a' and doing some of the most important work in the Kingdom. These were the people that I really meant to see the film at the moment.